ATTENTION INVESTORS, DEVELOPERS AND SELF BUILD ENTHUSIASTS. Here we have for sale an exciting opportunity to buy a development consisting of a fully detached bungalow in need of refurbishment, on a large plot approaching approximately half an acre with Planning Permission, passed under Application Number: PA18 /11039, to build a further two detached dwellings. 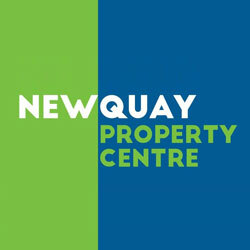 giving three properties in total with great potential for profit in a much sought after village location between Newquay and Truro. The existing detached bungalow is a good size and offers excellent potential to be renovated to a high standard creating a quality family home. Currently consisting of large dining area open to the kitchen. Kitchen has a modern range of cream gloss units, spaces for white goods and useful pantry. From here there is access to a living room and in turn a further reception room. On the ground floor there are two double bedrooms, a separate WC suite and a further fully re-fitted main bathroom with secondary WC. On the second floor there is a converted attic space providing a useful loft room. Throughout the property there is Oil fired central heating and a log burner in the additional reception room. This property could easily be renovated and or extended. The two building plots are situated to either side of the existing property, one measuring approximately 44 meters x 14 meters, the other measuring approximately 21 meters x 21 meters, both of which with Planning Permission to build detached dwellings on. The whole site is level, easy to access and fronts onto Engelley Road. Engelley Road is a quiet, semi-rural road on the outskirts of Goonhaven, but within easy access to the village amenities. Current Services connected to the site include mains water and electricity. There is no mains gas in Goonhavern and the development is on private drainage. Goonhavern has a wonderful local park and popular Infant/Primary School, useful Londis convenience store and is well placed to gain easy access to Newquay and Truro. The nearest small town is Perranporth which is one of the most popular coastal towns on the North Cornish Coast.